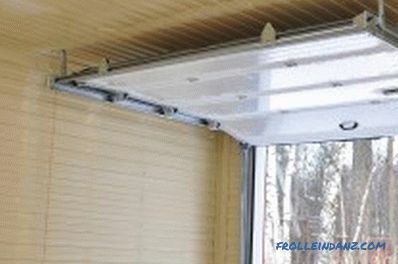 The garage, even when it is located in the same building as the house, has a technical purpose directly, therefore, completely different requirements are imposed on its arrangement. For finishing and repairing the garage, not all materials are suitable that can be used in a residential area. One of the most successful solutions is to sheathe the clapboard garage. The paneling meets all the technical requirements for the garage paneling. The difference between the street and temperature indicators in the box should not be large, for this reason Boxing does not need to be further heated or cooled. If you plan to carry out repairs in the room, then the internal temperature should be more or less acceptable, it is achieved through good thermal insulation. Often a lot of spare parts and tools are stored in a garage, and sometimes combustible substances. It is better to sheathe the walls and ceiling either with poorly burning materials, or (ideally) non-combustible. Fire safety should be a priority. In the cold season there is a possibility of moisture accumulation in the form of condensate, which is detrimental to materials, therefore, preference is given to those that are resistant to rotting and are not exposed to moisture. It is not so easy to maintain cleanliness in the garage, so sheathing should be easy to maintain. When calculating the number of lining, you need to remember that its length does not always coincide with the width of the ceiling or the height of the room. Sheathing clapboard garage space is an excellent solution, you just need to choose it correctly. Lining can be made of plastic or wood, both types have their advantages. Installation on the principle of the same for both types, it can easily be done by hand. 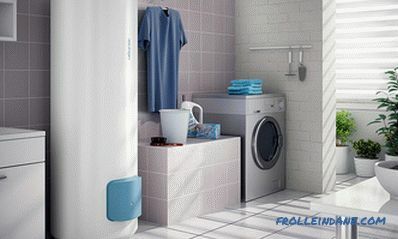 When choosing lining you need to proceed from the specific needs and characteristics of the room. 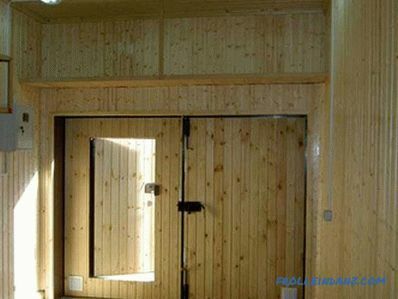 Wood paneling is distinguished by its maximum performance from the insulation of heat and sound. 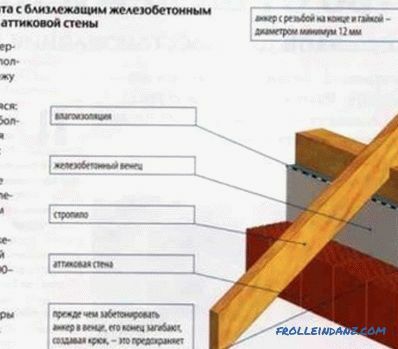 Maximum possible indicators for sound and heat insulation. For a harsh long winter is ideal. Wood has a unique property to create and regulate a microclimate in any room. If the walls and ceiling of the box are sheathed with clapboard of wood, then you can not worry about vapor permeability. Wood can provide the necessary degree of comfort. The moisture resistance is average, so before starting work it is necessary to treat the lamellae with an anti-moisture agent and lacquer it. Periodically, the coating will have to be updated, the frequency will depend on the type of wood, for example, ash negatively relates to moisture, and larch, on the contrary, does not react to water, therefore it can even finish the building from the outside. An important point is the degree of resistance to fungus and decay, to improve the performance need treatment with special substances. 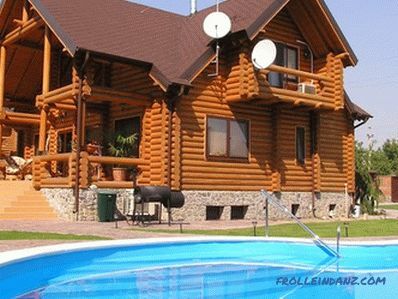 In this regard, conifers benefit from hardwood due to the content of resin in them. Plastic molded from plastic is not affected by various microorganisms. Lining made of plastic is a relatively new type of finish. Production material is quite popular today polyvinyl chloride. It is chemically inert, does not attract rodents, and is also not a favorable environment for habitat of various microorganisms. Wall cladding with PVC clapboard. Starting stage - creating crates. 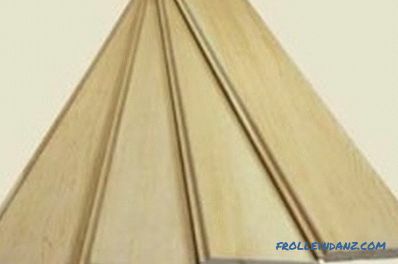 The material can be a profile galvanized or wooden beam (often used in the decoration of garages). Reiki should be placed depending on the method of installation: if the lamellae are arranged horizontally, the crate should be made vertically, and vice versa. According to the same principle, lathing is mounted on the ceiling. Fastened with galvanized nails or screws. If the plans are to insulate the garage, then you need to make it at this stage: put waterproofing between the slats, then insulation and then a vapor barrier layer. Fiberglass (which is very afraid of rodents) or mineral wool will perfectly cope with the role of insulation. 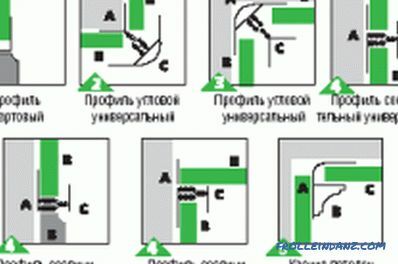 The trimming process should be started either from the left corner of the wall, or from the bottom up. If plastic lining is chosen as the material, then the process begins with fixing the launch pad and then attaching the main lamella to it. Lamels need to be joined tightly, if the lining is made of wood, then it is recommended that the seams be additionally treated with sealant. 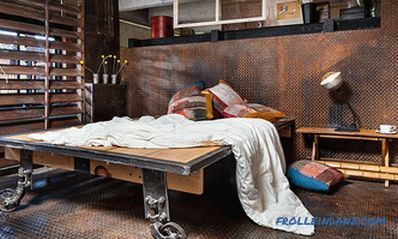 Wooden paneling in finished form should be varnished, ideally - fire-resistant. To sheathe the garage, it is advisable to immediately stock up with everything you need. If you are calculating according to the formula “the amount of lining equals the area of ​​the room”, then this is fundamentally wrong. The length of the wall paneling very rarely fully coincides with the width of the ceiling or the height of the room, which means that a part will go to trimming. It is important to carry out the calculation correctly, given the length of the board. Before you start trimming, you need to determine the location of the wall panel - vertically or horizontally, then find out the length of the rails. When buying, you need to add at least 5% to the total number, it is better to let it remain a little, than you have to go to the store because of one or two boards. Lining should be varnished in a single layer before installation. If you decide to sheathe a garage box with clapboard, then you need not only to know the installation technology, but also some tricks of work. If the lamellae are laid along the ceiling, the room will visually become longer, if you place the slats across - the garage will appear wider. The bars for creating the frame should be smooth, there should be no knots and splits. Walls and ceilings with irregularities need to be leveled during the frame fixing stage. If in the decoration was not used eurolining, but simple, then inspect it for roughness. If they are, then they need to be polished. Simple lining is better to varnish in two layers, for eurolining one is enough. If you need electrical (and sometimes plumbing) work, you need to finish them before the start of plating. The crate can be treated with an antiseptic and then the plating process can be carried out. The last rake may be wider than necessary, therefore, in this case, it must be dispersed to the desired width and secured with self-tapping screws. To hide the seams and joints, you can take a decorative facing trim in the form of corners and slats. 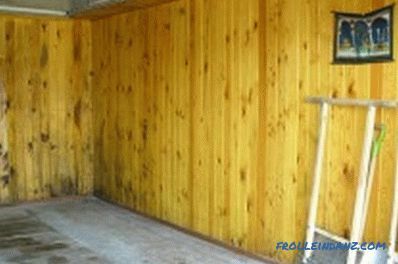 If you do not know what kind of garage decoration you should choose, then look at the wall paneling. Sheathing clapboard ceiling and walls is not so difficult, but it will serve you trim more than one year. Cover the garage box with plastic or wood at will and get a reliable finish and aesthetic look. 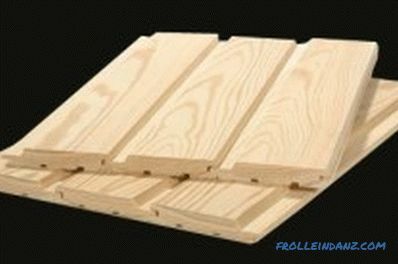 How to assemble rafters from bars? 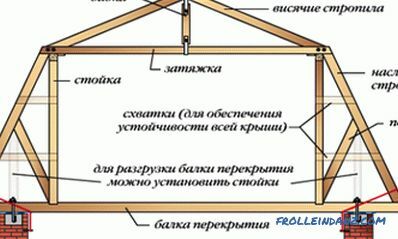 Instructions on how to assemble rafters. Types of existing roof systems. Assembly options rafters. Schemes, materials, tools necessary for work.